When Valve’s Portal came out, it was a revolution. A character and narrative driven puzzle game? No one had ever seen anything like it. 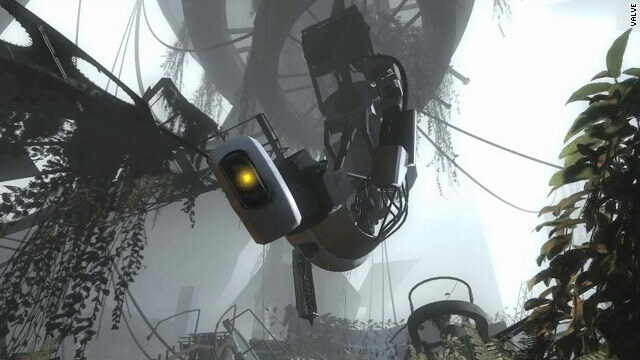 Then came Portal 2, one of the most magnificently crafted, well written and intelligent games I have experienced. 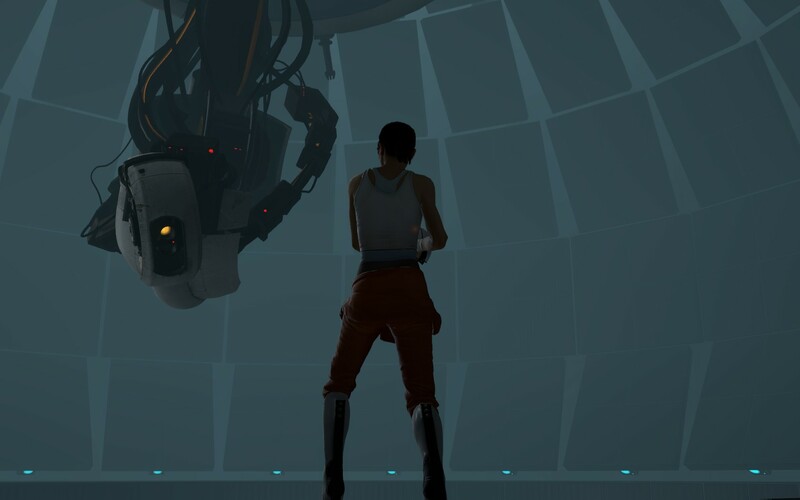 So much has been said about the portrayal of women in the Portal games. A cursory glance at results on google will reveal twists, amazing Easter eggs, mythology and in depth analysis of plot, symbolism and character which put anything I post on this topic to shame. But here are my two cents anyway. 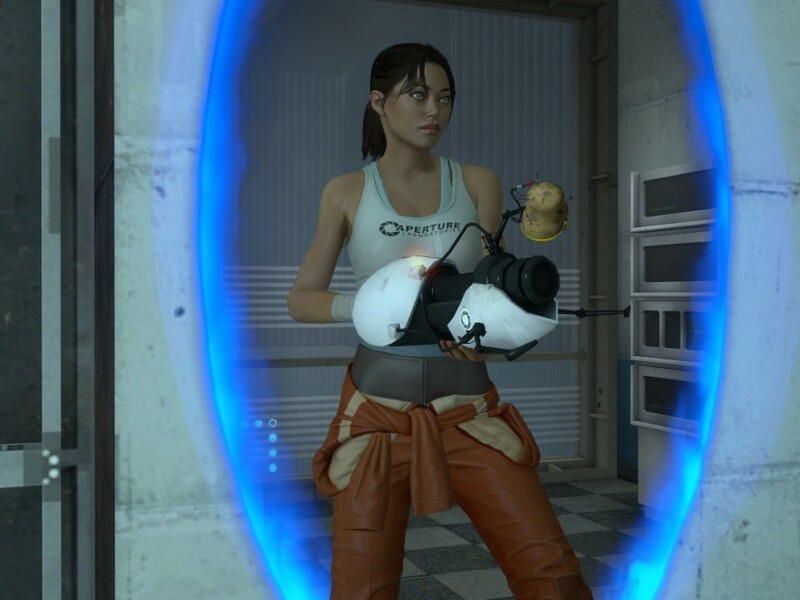 Throughout the Portal games, you play as Chell (or test subject #1). It is sad that this fact in itself is revolutionary, bucking the default trend of male player-controlled protagonists in video games. More interestingly, though, there is no reference to your gender in the first game. You only get hints that you are a woman in the second game, when GLaDOS, the sinister AI controlling the testing facility you are trying to escape, throws personal insults at you. GLaDOS, having been outsmarted and destroyed by you at the end of the first game, attempts to attack stereotypically female insecurities you may or may not have – for example, that you are fat. Until then, there is no indication that you are female, other than brief glances when entering portals if you look closely. Chell doesn’t speak. She is a silent protagonist. This is significant because she could be anybody. The fact that she is a woman is almost irrelevant. She can do everything that men can do. She is smart and powerful and determined to stay alive. Her gender is immaterial. She could be anybody, but she happens to be a woman. Her gender does not define or limit her. And this is a very important point that Portal makes in a society and a medium where the females are underrepresented and gender stereotypes are rife. It is rare for an AI to be given such a distinct personality. In addition to her seemingly infinite power and intelligence, GLaDOS (Genetic Lifeform and Disk Operating System) is also witty, passive-aggressive, and hugely sinister. GLaDOS’ penchant for cruel and hilarious sarcasm makes Portal one of the more cleverly funny games I have ever played. As GLaDOS begins to unravel, her smooth, monotone voice becomes more uncontrolled and menacing, her insults more blatant. This AI has more fire and personality than most one-dimensional women in video games. GLaDOS is the central character and antagonist of the Portal games. She runs the show. She is in complete control of Aperture Science labs, effortlessly maintaining the boundaries of your prison, manipulating, controlling and toying with her human subjects. She is an almost omnipotent megalomaniac. Chell is the only person who can outsmart her, and this drives her insane. But GLaDOS is not a one-dimensional villain. She has a history and it gives her depth, vulnerability and complexity. 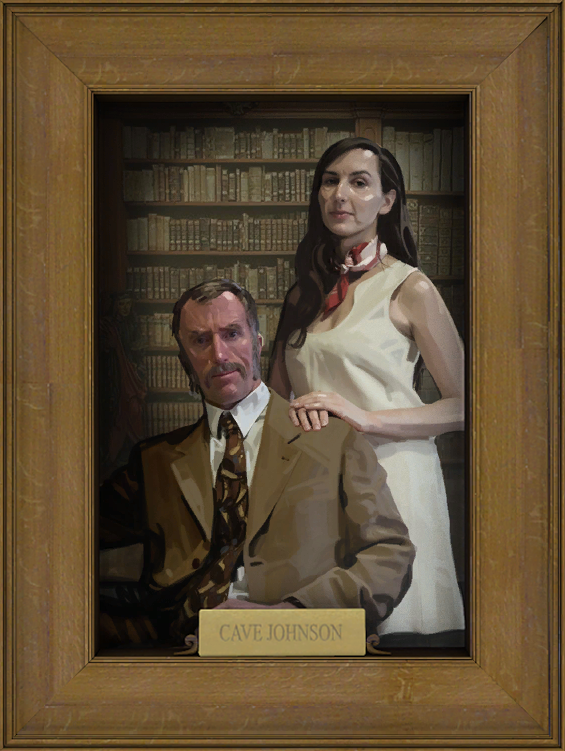 As you learn more about her link with Caroline, the secretary of Aperture founder Cave Johnson, your heart softens towards her. You watch her change. Your empathy for this murderous, conflicted AI feels very uncomfortable. Complex, rounded and powerful female villains are in short supply. GLaDOS is one of them. She makes the Portal games the masterpieces that they are. 1. Does it have at least two women in it? 3. Do they talk to each other about something besides a man? It seems straightforward, right? Wrong. You would be surprised at how many things fail this test. It really is soul-destroying. But Portal does not. It aces the Bechdel test. 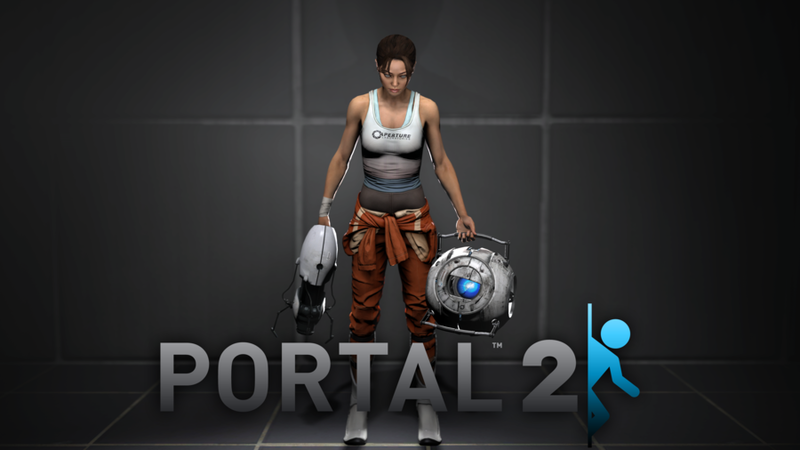 At the heart of the Portal games lies the relationship between two female characters, Chell and GLaDOS. Their rivalry, violent clash, and, in the end, mutual respect and friendship (“I thought you were my greatest enemy when all along you were actually my best friend”). This complex, love/hate dynamic is shaped by their own motives and personalities. It does not centre around men. This is not to say that there are no male protagonists in the Portal universe. We meet intelligence-dampening sphere Wheatley – perhaps a symbol of how male forces are used to stamp out any signs of female power. Chell and GLaDOS must eventually unite against a power-mad, incompetent Wheatley to survive. We learn more about unhinged Cave Johnson, founder of Aperture Science. Driven by a mad obsession with testing human subjects for ‘scientific progress’, he pushes to have his secretary Caroline’s consciousness uploaded into an AI system, probably against her will. This is the birth of GLaDOS, who kills her creators, continuing to trap and test human subjects for her own amusement. As a result of this complicated web of personalities and relationships, Chell and GLaDOS are drawn into an unlikely alliance. As they bond over the shared aim of escape from a dystopian system, Chell and GLaDOS find out more about each other, and you realise they have more in common than meets the eye. All characters come with their own personalities and motives. They all have an impact on the narrative. No matter the gender, individuals affect each other and have power over one another. Your influence should not be limited by your gender. In the Portal universe, the playing field is leveled. Chell and GLaDOS are characters in their own right. They have a complicated relationship in their own right. And this is rare, powerful, and worth celebrating. There are so many reasons why the Portal games are groundbreaking. Their portrayal of women is just one. What I love is that there is so little hype. Chell and GLaDOS are just characters who happen to be female. In a better world, this post would not need to be written. There would be an understanding, much like the game has, that gender is not a person’s defining characteristic. Individuals are individuals. Women can be heroines and men can be heroes. Women can be power-mad villains and men can be power-mad villains. Women and men all have strengths and weaknesses and personalities and motivations. They are all unique and different. Characters are characters. People are people. Our identity does not lie in whether we are male or female. We are all individuals in our own right, with our own complex stories and drives. This is why I am grateful for Portal’s rounded, sophisticated portrayal of female characters. Thank you, Portal, for doing this right. This post is part of the series ‘Women in media’. To see all related posts, please visit the series page.